The first set of “new” generic top-level domains, or gTLDs, were delegated in October 2013. Until then there were only 22 gTLDs and about 250 country-level domains in existence to cater to the entire namespace on the Internet. 5 years, 1232 delegated-gTLDs, and over 23M domain registrations later, here we are; marching into 2019 and wondering if it’s time to drop the “new” from the “new domains”. Obviously, we cannot decide what the most suitable terminology is when it comes to referring to the thousands of domain extensions that have made their way to the Internet namespace. So, we decided to take this question to our friends in the industry. Our question was simple, and the answers that we received were mindblowing forward-thinking ideas; as vibrant as the domains industry itself. 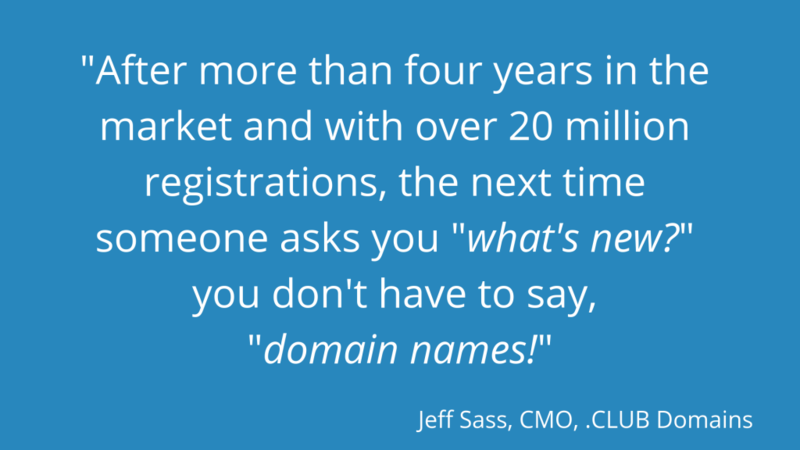 The conversation around domain names has been around for a while. How long do you think it will be before we can call “new” domains just domains? I feel there is an inherent need to differentiate the TLDs which were released in the 2012 round. They were part of a historic batch, self-selected by entrepreneurs, enterprises, governments, and societies, and they were introduced to solve specific problems that the next generation of users was facing. 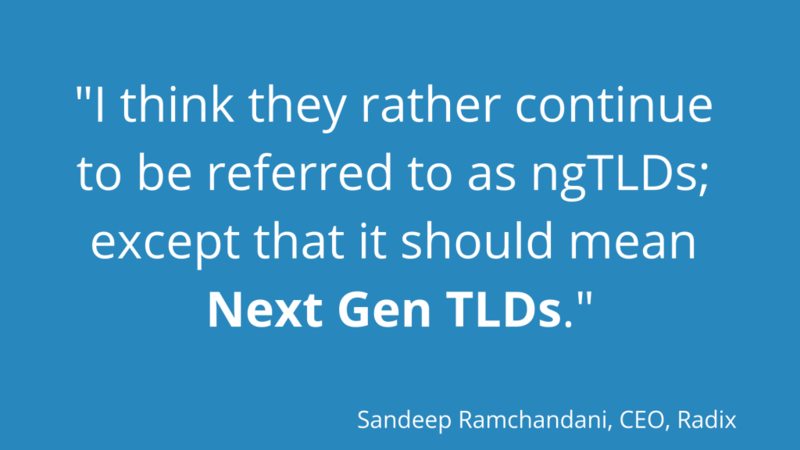 To that end, I think they rather continue to be referred to as ngTLDs; except that it should mean Next Gen TLDs. While there is often a natural human attraction and curiosity to know what’s new, there is also a hesitation to fully adopt the ‘new’ until proven worthwhile and trustworthy by others. Early adopters are critical in the beginning to tip the adoption scale and we have seen some great examples throughout the domain industry. In our conversations with marketing agencies, and from my own experience, I can tell that the (marketing/digital) agency folk are eager to embrace new domain options but need support to get their clients on board. We found that by simply changing the conversation from ‘new TLDs’ to ‘current solutions to better tell your brand story’, created greater uptake and adoption interest. In my opinion, it’s time to embrace the concept of normalizing all TLDs and drop the ‘new’ approach. At this point, finding the best matched TLD for your needs is much more important than being new. As an industry, we should be working towards normalizing domain options and helping more people get up to speed. We’ve already made that shift here at Rebel. “New domains” are more visible than ever before, from television commercials to bus ads. 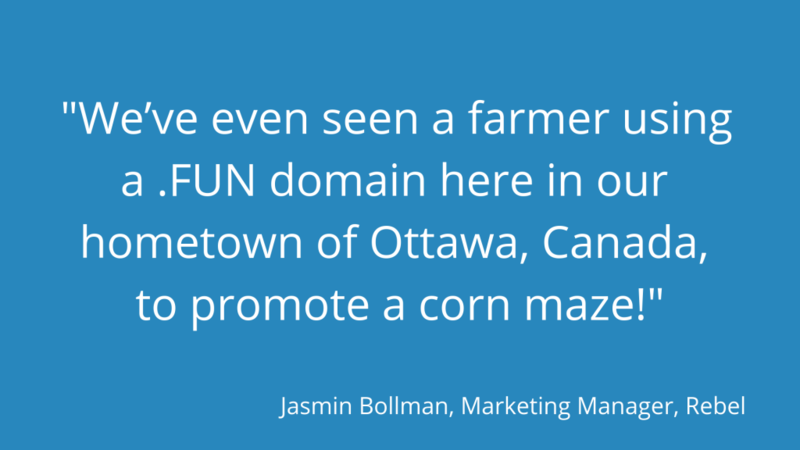 We’ve even seen a farmer using a .FUN domain here in our hometown of Ottawa, Canada, to promote a corn maze! Our savvy customers are recognizing the business value of owning a new domain extension, whether they use it as their main website or are simply keeping it in their portfolio for now. So, for us, the change from “new domains” to simply “domains” is already here. Today if you look at GoDaddy, the world’s largest domain registrar, you’ll see that there are 371 domain extensions available, 1 accepting pre-registrations and 272 “coming soon”. So, of course, there will always be new TLDs or domain extensions. 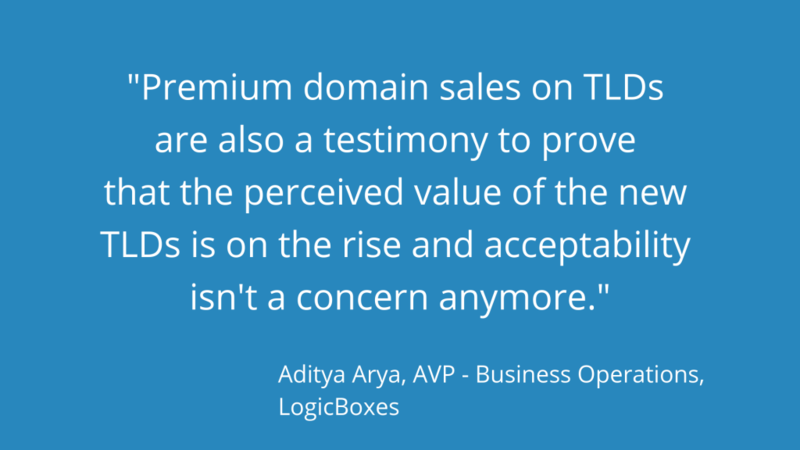 However, we’re seeing that customers are differentiating between original and new TLDs less and less. Newer TLDs are becoming commonplace, as big brands start to use them for their websites and branded links. When it comes to using a branded URL shortener, like Rebrandly, it often makes more sense to register a .PRESS or .STORE domain as they will make for more distinctive and memorable links. It also helps communicate what kind of content the link will lead to, which helps boosts CTR and is a big reason to brand your links. When our customers are registering a domain to use for their branded links, they don’t distinguish between TLDs by the date they were released. They search by industry or topic, looking for the one that is most relevant to their brand or audience. There is definitely a move away from using the term new TLDs, and within a couple of years, it will probably only be used to describe the very latest TLD releases. In our day-to-day conversations, we’ve already started avoiding using the term “new” in the context of gTLDs as most of them have been around for several years. We just call these extensions “niche domains” or “generic domains” depending on their target audience and projects they fit for. The important reason for this perception to be left in the past is the usage — the more new extensions we see in the world (especially in advertising), the more they are considered as “normalized”. Thus, the domain extensions already in use promote themselves — and we have witnessed great progress in the last couple of years. The number of use cases for these extensions has increased significantly so now they’re clearly visible on the web and, in our opinion, are close to forming a critical mass for a further chain reaction. My short answer is “not soon enough”, but the reality of it is that it is a personal experience. Once something is familiar, it is no longer “new”. Growing use and adoption of the namespace of today allows it to become normalized and familiar. This happens in a variety of ways. An analogy might be different ways that music, television or movies are consumed in 2018 vs 1985 (when the first .net and then .com were registered). Imagine what if there had been no changes or innovation in those industries for decades? Domains have had that pace, until recently. Why do we call new domains “new”? We, in the domains industry, who work daily on making domains available to people for use are focused on domain names, but the rest of the world really isn’t. People and organizations build, innovate, create and communicate, and they use domains hundreds of times a day, but they are focused on their news, websites, e-commerce, communications, business, and daily lives. The domain name(s) used in that pursuit is secondary. The general internet user has low, if any, awareness of ICANN or what a registry or registrar is, and does not follow the domain name industry closely. They don’t track that the industry is pacing towards nearly two billion global domain names. That industry experienced little change in the available TLDs for decades, so most of the general public perceives it is having not changed. The psychology of users is such that when something is labeled as “new”, it helps people understand what to watch out for and adapt to changes. It is absolutely exciting to watch the delight in someone who discovers the cool evolutions and domain options that are available now. Really, from the standpoint of how they function within the DNS, if a TLD is in the root zone, it works just like the others. They’re all just domains, ultimately -powerful and crucial Internet technology at work helping connections happen, every day. 7. Judith McGarry, VP Marketing & Communications, Donuts Inc.
Internet domains and the DNS are the bedrock of the Internet; their relevance and importance (and names) have only increased along with the growth of the Internet. As such, we think the “new domains” moniker will be used for a very long time – even after (if) ICANN authorizes a second round of new TLDs. But that’s a good thing. New domains offer people and businesses exciting new ways of communicating, promoting, and transacting on the Internet. Positive association with this category continues to grow, as more and more people/businesses register and use these names. As the registry with the largest portfolio of new TLDs, Donuts embraces the name “new domains” and believes that it describes an exciting category that’s here to stay (and thrive); for a long while! I think the “newness” of the different TLD offerings today is exciting. There are over 330 million domains registered, and over 23 million of those registered domains are new Top-Level Domain types. With hundreds of new domain name extensions to choose from, those trying to build a brand online have the ability to step out of the norm and customize the ending of their domain name – something that was impossible to do before 2012. With big search engines, such as Google, stating that every TLD is treated equally, it’s an easy decision for businesses, brands, and individuals to think long-term and grab the appropriate domain for their needs. It takes solid SEO skills, time, and high-quality traffic for websites to rank in search results – but once new businesses experience an increase in ranking, their “new TLD” will become just like any other. Since everything with regards to technology and the Internet seems to change rapidly, even exponentially, I don’t see us waiting ten, fifteen, twenty years for these new TLDs to become the norm. I believe these domain name extensions will be the go-to options and even newer extensions will be out wondering when they’re going to join the ranks of just domains. New gTLDs have many advantages. They can be catchy, meaningful, are often easier to acquire than over-crowded .COM or .NET legacy extensions. But, as with any ‘new technology’, compatibility can be an issue. Not every web app or service currently recognizes new gTLDs as valid. This is an unfortunate reality. The Universal Acceptance Steering Group (uasg.tech), formed by members of the ICANN community, has been working for some time to help software engineers and website owners understand how to update their systems to keep pace with the evolving domain name system. Once new gTLDs are universally recognized with no difference in treatment, they will simply become ‘TLDs’. There’s no doubt that new gTLDs have become increasingly accepted. Social media giants like Twitter, Facebook, and LinkedIn now recognize them as valid. Major tech players like Apple, Google, and Microsoft continue to provide support and resources to help raise awareness about the need for Universal Acceptance. And, in general, Universal Acceptance is seen as just a ‘bug fix’ which simply requires system architects and development teams to include support for new domain names. So, with the Universal Acceptance Steering Group continuing to promote a more open Internet, widespread recognition of new gTLDs is more and more a reality. In my opinion, it’s OK to continue calling them new gTLDs forever because they resonate with the idea of newness and innovation, which they represent in the Internet namespace; and changing that won’t help. New Domains made their debut in October of 2013. Just one month earlier, the iPhone 5S also made its first appearance. Now think about this—how many people do you know who still own an iPhone 5S? Technology is evolving at a rapid rate, with significant improvements and changes made to the tools and software that we use every day. And while some may argue that New Domains are, in fact, still new, the adoption that we’ve seen over the past few years suggests that people are more willing than ever to adopt the domain that works best for their business rather than go with the traditional. Alphabet, one of the largest and most influential tech companies in the world, was one of the first major adaptors of New Domains, with abc.xyz. Artists like Lorde, Jimi Hendrix, Foster the People, and The Gorillaz all use .STORE domains to sell their merchandise to fans. And the independent small business owner looking to start an online business is more likely than ever to choose an extension like .TRAVEL, .STUDIO, or .ATTORNEY. 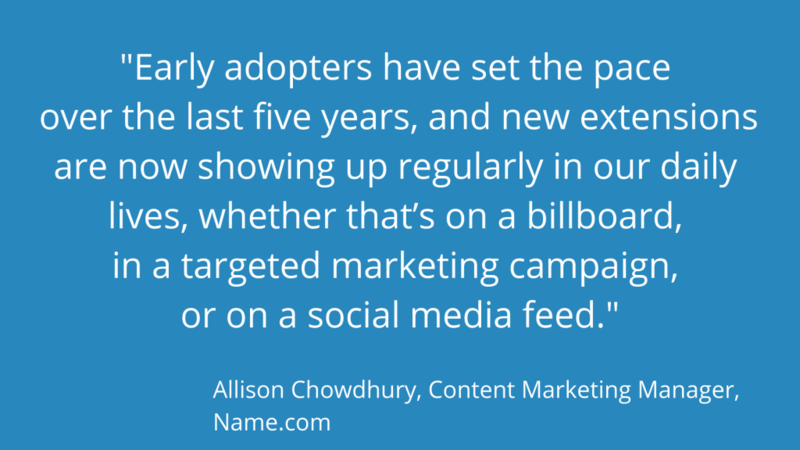 Early adopters have set the pace over the last five years, and new extensions are now showing up regularly in our daily lives, whether that’s on a billboard, in a targeted marketing campaign, or on a social media feed. And while New Domains may not draw the same attention and demand that the latest version of the iPhone does, they do offer the customization, quality availability, and massive amounts of potential that users expect in the technology they use. New gTLDs have gained significant forward momentum over the last years with domain volumes and higher acceptability in the markets. I do think that TLD operators alone will not be able to change the perception of the internet population from assuming that only a .COM can be a website. Having said that, there are a lot of new TLDs which are working at the brand level in identifying their niches, verticals of businesses, and even companies at different growth stages that can adopt a new TLD. Marquee clients, institutions and organizations switching to new TLDs has added weight to the dialogue in the market. Premium domain sales on TLDs are also a testimony to prove that the perceived value of the new TLDs is on the rise and acceptability isn’t a concern anymore. Many won’t be able to predict a date when these would become mainstream, and it’s a tall order to even take a shot at this. My guess is that it will happen when the next round of TLD allotments are kicked off by ICANN. Till then, the industry will go through a sea wind change with a merged, acquired and consolidated old guard ready to take another set of TLDs through their journey. The more new “new TLDs” are being added, the more common the current new domain endings will become. It may still be some time until some of the more exotic ones will be as established as a .COM, for example, but as the usage of these domain endings grows so will the acceptance of them. But with the number of new TLDs now available, it is hard to treat all of them equally. Some are heavily used and accepted, while others are rather uncommon and thus may be regarded as “new” for a longer period than others. In general, the current new ones will become not-so-new-anymore, when the next wave of new TLDs hits, but it probably will take some years until there will be no difference between the classic domain names and the hundreds of recent additions. Therefore it is important to further raise the awareness of the still-new-domains. Promotional activities may be helpful here, as well as targeted campaigns for users (registrants) of the “classical” domains. We have come a long way from very few available domain extensions to the hundreds we have now. Anyone who registers a new domain online now has the opportunity to create a unique and memorable domain name that will communicate their identity in more ways than the oldest extensions, like .COM, ever could. It’s definitely up to us, as the internet industry, to demonstrate the value of new domain extensions in order to inspire a more native adoption from the new generation of websites coming online. As these TLDs are indeed relatively new, there are a lot more options available compared to the old ones, so you can still get a winning combination for your website. There are still misconceptions about the new TLDs related to their legitimacy or even SEO. For Google, all TLDs are the same, and it will not show you lower in search results because of that. As for their legitimacy, even big corporations (including Google) are opting to register domains with new TLDs in addition to traditional ones. When this generational shift will finally happen and people will stop opting for .COM as their first option, that’s when the ‘new’ domains will become just domains. There is a lack of awareness among the general public — I have a colleague who opted to use a .COM over a .WEDDING domain for his wedding website. Why? He was concerned that some of his less tech-savvy guests would be confused by the lack of a “standard” extension. There are thousands of nTLDs competing for this awareness—not all will flourish, and until some are better established, users might be deterred by the task of choosing the “right” or most relevant extension for their industry. They’re “cool” — I hear this whenever I suggest one to any friend on the hunt for a memorable domain name. They often speak to a certain industry niche. They allow for a URL to consist only of relevant keywords — which is great from a marketing standpoint. Your name can be your URL. That’s pretty awesome. 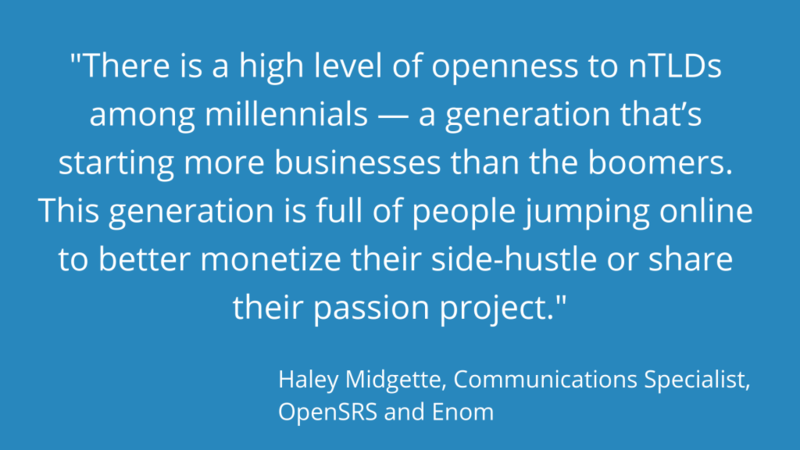 Ultimately, I believe there is a high level of openness to nTLDs among millennials — a generation that’s starting more businesses than the boomers. This generation is full of people jumping online to better monetize their side-hustle or share their passion project. Right now, however, many potential nTLD customers are simply not aware of the new options out there. And if they’re made aware only when they go to buy, they might opt for a less-perfect .COM because of the “familiarity” factor — they don’t want their users to question their website’s address. The quicker we can raise awareness of nTLDs within the industries they appeal to, the quicker we’ll see the adoption. While it’s impossible to say when the nTLDs can shed their “new” label, there’s no reason that some of the top performers (typically those that are generic yet specific) won’t come to be accepted as standard options within a matter of years. Now? How about now? We think it’s the domain industry that’s clinging on to the “new” in new domains, but we’re not sure that moniker means much of anything to consumers in 2018. It’s been 5-years now since the first wave of gTLDs came to market, and for several years prior to that, many ccTLDs ( e.g., .CO, .IO, etc.) were already behaving like gTLDs, having little or no registration restrictions, and marketing themselves for broader use. While they were not as commonly encountered as .COM, .NET, .ORG, they received enough exposure for people to understand that other options existed. Even back in 2013, our customers did not appear to be confused by the expansion of new gTLDs. Plus, 5-years feels like a century when it comes to the Web. For consumers who had their first experiences of searching and registering domains after the first wave of gTLDs were released, this is all they have known. Sure, they may be aware that there was less choice in bygone years, but that was before their time – now it’s just normal. As some of the more meaningful gTLDs grow in popular adoption – take .ONLINE for example which is now well established at 1M+ registrations – the “new” distinction starts to feel even more strange. This is true from the registrar angle too. We’re accustomed to new domains coming to market, launching them, marketing them, and supporting them for our customers. While it’s still exciting, it’s not novel anymore. We think it’s time to reclaim the word “new” for domains that actually are new, as in newly launched – because that’s what’s intuitive to consumers. And let’s just call the rest “domains”, already. It’s time! I think more and more businesses, entrepreneurs, and developers are registering nTLDs each year as many are finding these extensions the best option for their online presence. As more new domains are being adopted by mainstream businesses, industries and digital influencers, the more ubiquitous the extensions are becoming. I think we can call “new domains” just “domains” now if we want! I think that we’ve used this “new” framework for a few reasons. On the positive end of things, we’ve used it to be synonymous with ‘exciting’, and ‘innovating’. These are in fact new, especially when you consider .COM is now over 30 years old! That’s exciting. It’s the first time since the .COM rush that people and companies have so many good options to name their sites and businesses. The negative connotation with “new” is that we use it to explain why so many people haven’t heard of the latest domain options. As in, “Oh you haven’t heard of .DESIGN yet? Well, it is new…” That doesn’t bother me. The fact is that .COM has a 30-year head start and the country-codes are strong with local markets. However, everyday people are starting new sites and new businesses and they’re learning from experience that they can get a domain on new extensions. In fact, searching for that domain may be their first introduction to another new TLD. We know we’re delivering value and differentiation and I think our .DESIGN TLD has a strong recognition within the designer communities, especially with tech-savvy audiences like web and graphic designers. We also know that we have more niche customers using our .WIKI and .INK TLDs and the fact that they managed to find and pick great names despite the lack of widespread recognition means that they have an even stronger affinity for them. The variety in domain extensions offer a chance to create an identity and start a brand story, and that could be new or old but hopefully, it’s engaging and different. Due to the fact that there are many new additional TLD domains appearing in the market, it is common that the whole domain group is called “new”. However, the interest in the new domain extensions is constantly growing. That said, we believe that the nTLDs will be a common and natural choice among the customers. Same as it happened with the generic domains extensions for example – with the .COM, .NET, and .BIZ. At home.pl, in recent years, we have observed the rising interest of the new domains among our customers. As the number of companies delivering Internet services and products is on the rise – the demand for the domains with the word “online” is also peaking. That is why one of the most popular extensions at home.pl is .ONLINE. Depending on where in the world you are, people think differently about domains. In the US, .COM is dominating the use of domain names. In much of the rest of the world, the local country domain (ccTLD) is often more used than .COM. Europe, where people are used to seeing a lot of different country domains, might be the first area in the world where the new extensions become normal and are just called domains. That might take at least 8-10 years counting from 2014 when most new extensions launched. The US and the rest of the world might be 2-3 years later than this. The appetite for new domain extensions is quite large in the US, so if that continues, it might be that the US will be synced with Europe in reaching the same view of new domain extensions. The biggest driver for continued good growth in the use of new domain extensions is more saturated namespaces in .COM and large country domains like .UK .CN and .DE. This means that more startups and younger people will be using and be used to new domain extensions. Just look at how young startups made .IO and .AI normal domains to see in the wild. That development took about 5 years. So, there you have it! Opinions, suggestions, facts, observations and a whole lot of ideas from the key industry players about the new domains. What do you think? Let us know in the comments below?